Pricing and availability are subject to change. Valid for new residents only. Square footages displayed are approximate. Discounts will be calculated upon lease execution. Minimum lease terms and occupancy guidelines may apply. Deposits may fluctuate based on credit, rental history, income, and/or other qualifying standards. Additional taxes and fees may apply and will be disclosed as per governing laws and company policies. Looking for a cozy one bedroom? Ours offer 621 square feet – perfect just for you or for a couple. Ready to expand into two bedrooms? 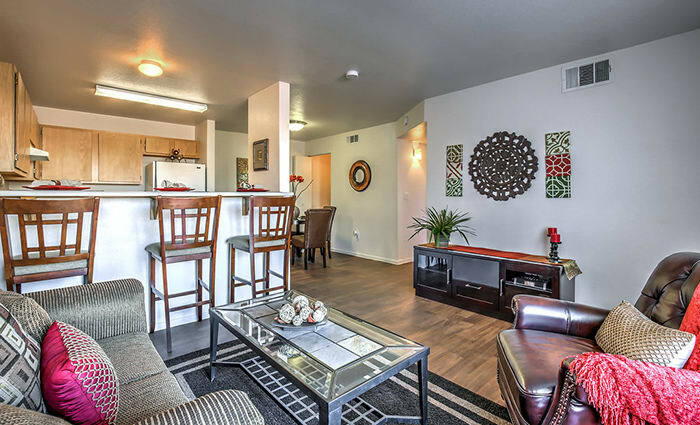 Experience a spacious two bedroom, two bathroom apartment with 897 square feet. Need to maximize your space? An expansive three bedroom, two bathroom apartment with 1104 square feet gives you enough room for the whole family – including your pets. No matter which floor plan you choose, your home comes fully equipped with modern finishes throughout, and gives you access to all our updated community has to offer. Work up a sweat in the fitness center, cool off in the sparkling pool, or spend an afternoon outside with the kids on the playground and in our BBQ and picnic area – all just steps from your front door. At Portola Del Sol, all our spacious 1, 2 & 3 bedroom apartments were designed to suit your needs. 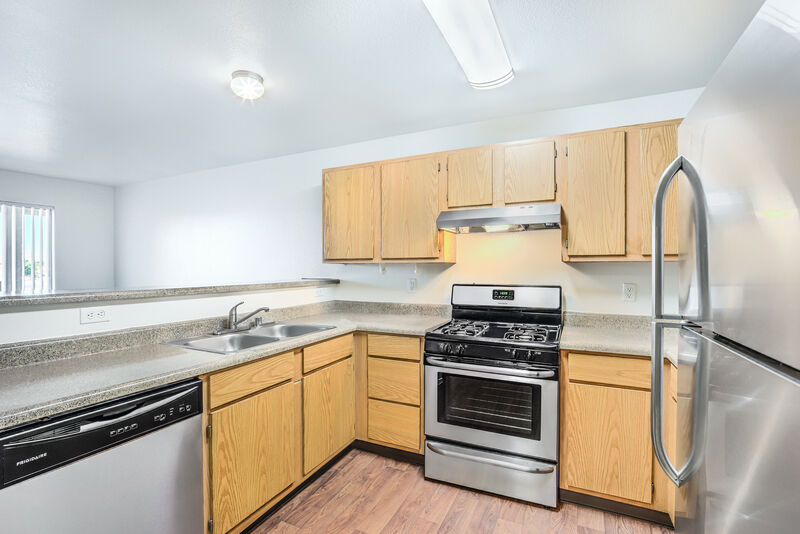 Our pet-friendly Las Vegas, NV, homes feature updated touches like wood-style flooring and stainless-steel appliances that add a luxurious feel to your new apartment. You’ll also enjoy the convenience of amenities like an in-home washer and dryer, a dedicated dining room, walk-in closets, and central air conditioning. Are you ready to find the perfect space for you? Call us to schedule a tour.